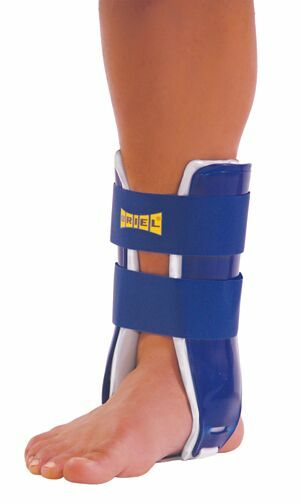 # 333ANKLE AIR BRACEDescription: This is a firmly constructed lateral and medial supporting air- filled brace with supporting Velcro straps. Indications: Prevention and treatment of ankle sprains, as well as protection following removal of plaster cast after fractures or surgeries. Fitting instructions: Two adjustable straps sit firmly around both medial and lateral supports. Simply tighten according to comfort and need.